If chips, cracks, or stains are keeping you from achieving the smile you’ve always wanted, a new set of custom-made veneers can help. At Wintergreen Family Dental in Rockville, Maryland, Huixin Wang, DDS, offers porcelain veneers that can reshape and redesign your smile. These thin ceramic layerings can address a wide array of smile flaws and boost your self-confidence. To find out more, call or use the online booking tool and schedule a consultation today. Veneers, which are typically made of sturdy porcelain, are custom-made for you to ensure a comfortable fit. The process of making and placing your new veneers generally takes approximately 2-3 office visits. 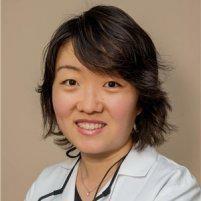 During your first visit, Dr. Wang discusses the anticipated new shape and look of your smile with you. Once there’s a plan in place, she carefully prepares your teeth for the placement of the new veneers by filing them down to make sufficient room for the appliance. As she completes this piece of the process, the next step is taking an impression of the newly prepared teeth. This impression is sent to an outside dental laboratory where the final product is fabricated. 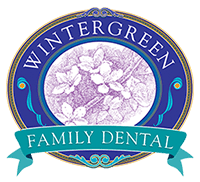 Wintergreen Family Dental only accepts laboratories with the highest standard for the fabrication of all appliances, including veneers. This process at the laboratory usually takes between 10-14 days. While the new veneers are being fabricated at the lab, Dr. Wang provides you with a beautiful temporary solution to wear for the time being. As the veneers are finalized, Dr. Wang makes every effort to make sure that your new veneers feel just like your natural teeth. At your follow up visit, she bonds them into place, ensuring that you can enjoy your new smile for many years. On average, veneers should last you at least 10 years, if not longer. While you wear a veneer, it’s important to maintain regular visits to the office so that Dr. Wang can monitor your progress and make slight alterations. As you age, your mouth naturally changes, which means your veneer may need minor adjustments from time to time. The better you take care of your veneer, the longer it should last. Try to avoid hard foods — such as hard candies and popcorn kernels — that can cause chips or cracks. Also, make sure to treat them like natural teeth and brush and floss regularly. To schedule a consultation for veneers, call or use the online booking tool and set up a time to come into the office today.